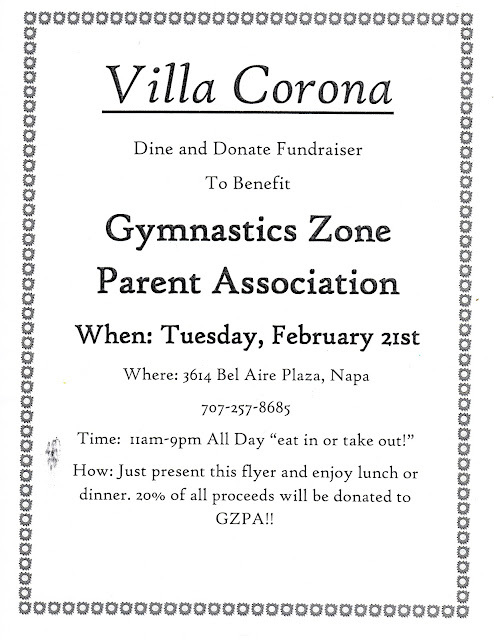 Gymnastics Zone: Dine & Donate to Help Support the Team! The Competitive Team's very first Dine and Donate is coming soon! Flyers are available at the front desk or you can print your own by clicking the link at the bottom of the page. You MUST present the flyer when you visit for the parent association to receive credit. Let's all enjoy some yummy mexican food and support the Parent Association while we're at it!! Download PDF so you can print your own!